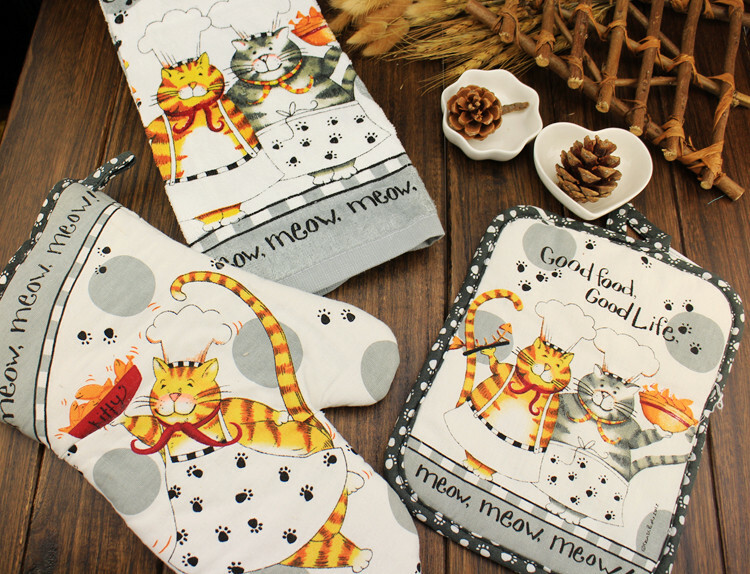 Your kitchen essentials adorned with delightful Kitty Cat Chefs! A Dish Towel, Oven Mitt and a Potholder Too cuddly to pass up. For CAT-isfaction Today, click Add to Cart.